The Diocese does not direct its website to minors. Individuals under eighteen (18) should consult with their parent or guardian about the use of this site for their benefit. The Catholic Diocese of Peoria does not collect personally identifiable information about individuals except when such individuals specifically provide such information on a voluntary basis. For example, such personally identifiable information may be gathered from an e-mail request for information or service from an agency or ministry of the Diocese. The Catholic Diocese of Peoria may disclose user information in special cases when we have reason to believe that disclosing this information is necessary to identify, contact or bring legal action against someone who may be causing injury to or interference with (either intentionally or unintentionally) the Catholic Diocese of Peoria rights or property, other Diocese website users, or anyone else that could be harmed by such activities. The Catholic Diocese of Peoria may disclose user information when we believe in good faith that the law requires it. The Catholic Diocese of Peoria reserves the right to perform statistical analyses of user behavior and characteristics in order to measure interest in and use of the various areas of the site and to inform agencies and departments of such information. This site contains information, data, logos, graphics, images, photographs and other elements and materials (collectively, “Materials”) that are owned by and are the copyrighted works of the Catholic Diocese of Peoria or its third party providers. All rights are reserved. Except as stated herein, you may not use, copy, reproduce, modify, create derivative words from, distribute, republish, download, display, post or transmit in any form or by any means, including electronic, mechanical, photocopying, recording or other means, and Materials without the prior written permission of the Catholic Diocese of Peoria. Any unauthorized use of Materials contained on this site may violate copyright, trademark, privacy, publicity or communications laws and regulations. The Catholic Diocese of Peoria makes every effort to ensure that all information presented on this site is correct. However, the Catholic Diocese of Peoria does not guarantee the accuracy of the information posted on this site, and reliance on information provided on this site is solely at your own risk. If inaccuracies do occur, however, the Catholic Diocese of Peoria will make all efforts to correct them expeditiously. To report any Website inaccuracies, please e-mail communications@cdop.org. This Privacy Statement may be changed from time to time and without notice at the sole discretion of Catholic Diocese of Peoria and as provided by applicable law. We will notify you of these changes by updating the “Effective Date” for this Privacy Statement, or by posting a notice on our website that the Privacy Statement has been changed. However, it remains your responsibility to review the Privacy Statement, and your continued use of the website after we have amended the Privacy Statement shall signify your acceptance of any modifications. The Catholic Diocese of Peoria makes no representations or warranties of any kind, express or implied, as to the site, the operation of the site, the materials or the results that may be obtained from the use of the site or that use of the site will be uninterrupted or error-free. The Catholic Diocese of Peoria hereby disclaims, to the fullest extent allowed by applicable law, all express or implied representations, warranties and guaranties, including by not limited to warranties of merchantability, fitness for a particular purpose and non-infringement. The Catholic Diocese of Peoria does not represent or warrant any pricing, product or other information accessible on or through this Internet site is accurate, complete or current, and all information, including prices and availability, is subject to change without prior notice to User and without updating the information on the site. The Catholic Diocese of Peoria assumes no liability or responsibility for any errors or omissions in the content of the site. Information on the site may contain technical inaccuracies or typographical errors. The Catholic Diocese of Peoria may change or update information without notice. The Catholic Diocese of Peoria may make improvements and/or changes in the products and/or the programs described in this site at any time without notice. 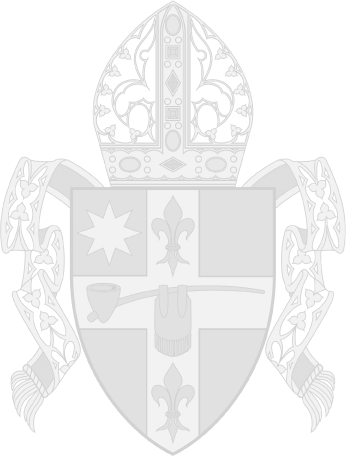 Neither the Catholic Diocese of Peoria nor any of its affiliates shall be liable for any damages of any kind arising from or in connection with the use of the site or the materials, including mistakes, omissions, interruptions, deletion of files or e-mail, errors, defects, viruses or delays in operation or transmission, even if the Catholic Diocese of Peoria is expressly advised of the possibility of such damages. This is a comprehensive limitation of liability that applies to all damages of any kind, including compensatory, direct, indirect, punitive, special, incidental or consequential damages (including but not limited to damages for lost profits, loss or inaccuracy of data or loss of revenue). You agree to hold the Catholic Diocese of Peoria and its affiliates harmless from and indemnify them against any claims by you or third parties based on or related to your on-line actions or your use of the site or the Materials and all damages, costs and expenses relating thereto. You shall cooperate fully as reasonably required in the defense of any claim. The Catholic Diocese of Peoria reserves the right to assume the exclusive defense and control of any matter otherwise subject to indemnification by you and you shall not in any event settle any matter without the written consent of the Catholic Diocese of Peoria.